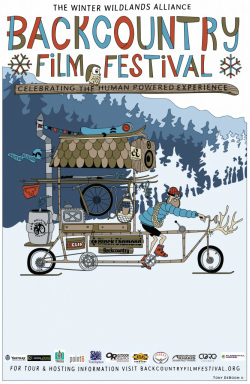 We will be showing the Backcountry Film Festival at Splitfest DownUnder again this year. Cost? A note donation at the door on the night. Best of Festival: Valhalla from Sweetgrass Productions is the tale of one man’s search to rediscover the freedom of his youth. Best Conservation Film: Bolton Valley from Red Reel Production is the story of how a small community fought to save their beloved ski area. Best Short: Bigger, Braver. Filmmaker Luc Mehl turns the camera on a young female athlete who shares her insight into the courage and strength involved in seeking big mountain adventure. Trail Break from Powderwhore is a beautiful black and white portrait of deep powder skiing. Morning Rituals, a day in the life of an undercover ski bum. Presented by Chris Dickey of Orange and Purple. Strong from filmmaker and storyteller Fitz Cahall at Duct Tape then Beer captures Roger Strong’s reflections about moving forward after a tragic avalanche.